I have been pretending to myself that I don’t care whether the SFA choose Hampden or Murrayfield as a future national stadium, where, presumably, Scottish and League Cup semi-finals and finals will be played. Our trips to Murrayfield for Champions League qualifiers in 2014 were an eye-opener. The stadium had great vantage points and plenty of facilities. But it’s in Edinburgh, so for me, getting into the city along the M8 for an evening game was a traffic nightmare. You do not need me to tell you Hampden is a dreadful spectator experience for most – apart from those in the South Stand. At ground level behind the goals you would scarcely know what the score was, were it not for the screens and reaction of others. Jock Stein’s comment, that we need “one neutral acre in Glasgow” had validity when he said it in the 70s, but I’m not so sure now. Most European nations flourish without a neutral acre and Scotland would be no different. The national team would benefit by moving games to venues that better reflect the expected attendance, instead of playing before vacuously empty stands. And if they had a game which required a huge stadium, Murrayfield, Celtic Park or Ibrox would be available. I get the historical pull of Hampden. It was a theatre to many of football’s greatest achievements – and to the top dozen-or-so of Europe’s highest attendances, but that stadium is long gone. What you will not often hear about the old Hampden, is that it was also a truly terrible place to watch football for anything up to 70,000 people who were huddled behind the goals. For the most part, in the old ‘Celtic end’, you were further away from play than the modern equivalent, and when it rained, you left covered in muddy ash from the knee down. The ‘terrace’ was latterly just a slope, with wooden uprights which long since gave up the pretence that they supported a flat step. We complain about modern Hampden and eulogise about the objectively inferior old Hampden because our expectations and standards have changed. So what’s that got to do with the SFA’s decision on where the national stadium should be, which they will announce this afternoon? The SFA should be considering the next 30-50 years. What will fans in future decades expect from a stadium? It sure will not be Hampden Park. For what it’s worth, the same conclusion could be reached about Celtic Park. But whereas Celtic can afford a continuous programme of improvements, the SFA do not have this kind of budget. I think Murrayfield is the best choice, although it will be far more difficult for me to attend matches there. Hampden is dire for viewing and even worse for the “facilities”. Personally, I think they should move Internationals around the country. The likes of Pittodrie, Easter Road and Tynecastle should be adequate for many of the games. It takes me about 5 minutes to drive to Murrayfield so it’s definitely Hampden for me! (much better day oot for all those future Cup Finals we’ll be going to). Glasgow is the home of football in Scotland and that’s where a national stadium should be. Proviso would be that each end behind goals are demolished and rebuilt close to field. Hampden should be bulldozed. Internationals, and cup semi finals, should be played at existing football stadiums around the country (Celtic Park, Ibrox, Tynecastle, Aberdeen’s new stadium) and Murrayfield used twice a season as a neutral venue for cup finals. The only alternative would be a complete re-build of Hampden which would bring both ends in closer to the pitch and an increase in capacity to at least 60k. Saint stivs wants Hampden rebuilt by the government. Going to Murray field for the European matches it was over rated. Murrayfield is great when you’re inside, it’s getting there, and moreover, getting home afterwards that is the problem. Lob in the very obvious issues of desegregated spectator safety, particularly on leaving the stadium for return journeys to the west, and you have a recipe for mayhem. Hampden is hopeless as a venue, with fans behind the goals upwards of 250 yards away from the opposite goal. That’s a par 4 on most golf courses. If they stick with Hampden, they’re going to need to spend perhaps £200M redeveloping three stands. Redirecting such a sum into Coach Education and local facilities would deliver a better return in the long run. If the SFA sky the park, QPFC will make a tidy sum selling the site for housing, and Lesser Hampden can be completed to serve as a practical stadium and training venue for a local community club. On balance, given three >50,000 seater stadiums within 40 miles, together with a variety of smaller grounds for lower-profile fixtures, the only folk who need a national stadium are the folk who run the SFA. The only advantage of Edinburgh over Glasgow is you can drink on the streets. Can you imagine a Celtic – Huns match at Murrayfield? Absolute carnage. If a Celtic fan can’t stop in Girvan for fish & chips without being brutally assaulted, god only knows what Edinburgh would be like on that day from hell. Sky sports news there at its lazy journalism worst., with a large dollop of hunnery. Going on about Hampden being the world’s biggest stadium when built and its ‘amaxzing record attendances…Rankers 4 Celtic 0 1928 118000 (wrong record wrong stadium) then Rangers v Kilmarnock 120000, then Scotland v England 1920 a massive 85000!, then The Record 1960 Real v Eintracht 127000 wow! Someone has probably called these idiots by now to tell them that the three largest crowds ever at Hampden do not include the dead club. 136505 Celtic v Leeds (forever a European record. Awful stuff from sky but no surprise. Absolute belter, Paul. They can barely look beyond 30-50 hours. Interesting that the announcement is being made today. That would have been the big news to deflect from a Scotland defeat if it had happened. No wonder this great blog is struggling. Some of the chat last nite was simply awful. Seriously poor show and some posters should be ashamed of their contributions. The general mood was downright nasty verging on racist. There have been a few low points in the last 10 years but last night descended into a shameful mess. I’m genuinely surprised so few regular contributors had an issue with it! 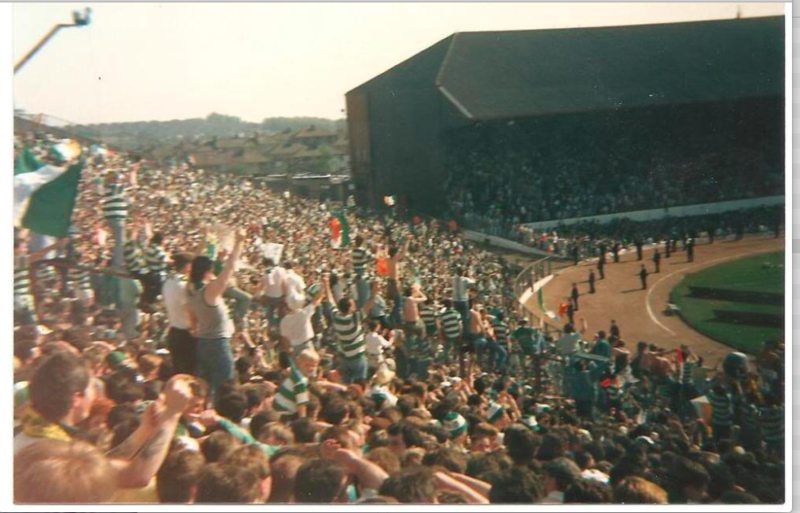 O Murrayfield in the Sun Celtic 7 V Zombies 1 just doesn’t have the same ring to it does it. Rebuild hampdump and forget about the rugby park, in the meantime play international games at other Scottish grounds, and the same with the cup semi-finals, I know the media wont agree but Celtic park for all finals, it is the biggest and best in the country so it should be used . In modern terms, there is not a single stadium in Scotland that is fit for purpose and the cost of adapting any of them for 60-80k spectators unrealistic, so it’ll be sticky plasters whatever the decision is. At its most basic level, any major stadium should have either/or mass transit links and adequate parking with good highway links. With Scottish weather any stadium should have an open/close roof. All pretty basic stuff in the world of major sporting venues. There would be no ‘rebuilt’ Hampden had Celtic been up to speed with modernising Celtic Park in the two decades before Fergus McCann. However at the time the decision to restore Hampden was taken, Scottish football was faced with the only other option of fraudulent Ibrokes for every single international cup final et all. They chose to revamp and provide a semblance of a neutral venue, doing it on the cheap resulted in half baked Hamdump. The SFA in the late 1960’s decided to cover one end only? and naturally they chose the traditional Mount Florida end and left the Celtic support at the mercy of the Scottish winter, without so much as an explanation for the most regular of inhabitants. I’d opt for a newly rebuilt SFA, only then will Scottish officialdom drag itself beyond the deid Rainjurz and back to the future. Anyone know how long Craig Whyte’s “lifetime ban” from Scottish football lasts? ……and I’m sure Celtic made a £10k contribution to the costs with Deidco making none. 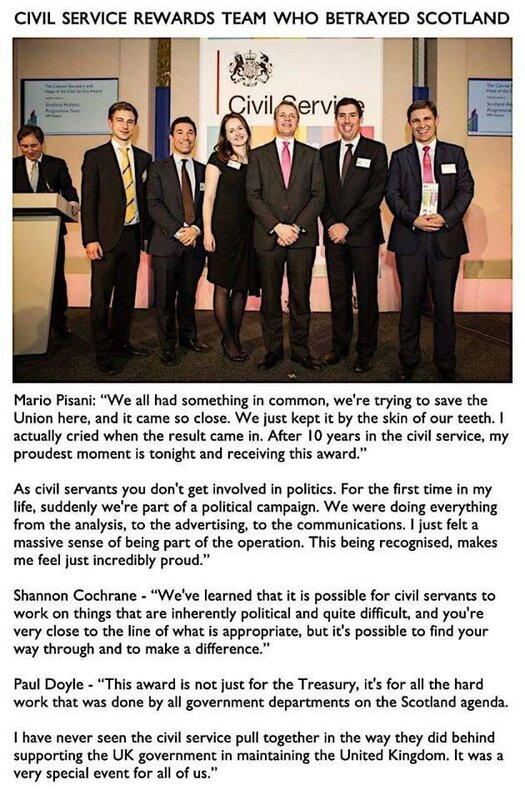 The civil service are supposed to be apolitical. Any time I’ve been there – even 15 rows from the front – the spectator view is awful. The queue for the toilets and the queue for fast food is one and they same. It’s hard to get to and even harder to get from. I do worry about the All seeing eyes of internet data mining. I am therefore comforted that it continues to try to sell me tampons on CQN, perhaps not so bright after all?!?! And the funeral ad with the coffin draped in a butcher’s apron may offer a similarly scant return on investment in here! If the Scots were a race…etc. Gotcha. Wanted to check in case it was posts I’d not seen it had been deleted. I find it complicated. I’m genetically Irish and scandi. I’m culturally and politically Scottish. And/but I don’t personally feel insulted when CQNers rail against the Scottish national football team and SFA given the long history of hunduggery associated with both. I may not hold the same concluding view. But I see how others could fairly arrive at it. Two things on this topic. 1) an awful lot of people are getting het up about where cup finals and semifinals are going to be played. So much for the idea of depriving the corrupt SFA of funding. 2) Renovation of the G42 dump. I have a ticket for the Celtic end for the 1978-9 LCSF which we lost 2-3 (TB sent off and J Casey OG). Admission for both ends cost £1.20 but Celtic end tickets were nominally £1 with “20p Hampden Development Fund donation”. They’re staying at Hampden in case ole Sevco needs to move in when the next crash comes. no wonder there are folk that canny afford a hoose in Glasgow ..when an ootside toilet costs funf million poonds! Look what Cardiff got for similar money,look what we got. Look at the SFA being in control so much that Fergus had to deal with Farry,not QP,to play there. And at great cost,little of which if any went to QP. In Glasgow it’s called breach of the peace. In Edinburgh it’s called the Festival. They’re stayin at Hamhun as they would need a skip the size of Ipox to dump the skeletons that are there. An inbred , introspective , masonic clique. They really don’t care about Scottish football or about Scotland’s place in world football. all very good but when I lived in Scotland , I travelled to Celtic Park from Fife , yes along the M8 too.